WOOD Magazine’s “Top Sled” – Every Time! If you are looking for a product that will allow you to work more accurately with your table saw, we hope that we may be of some assistance in your search. Our objective in this part of our site is to provide you with information that will allow you to determine if the Dubby is a tool that will be useful in your shop, and also help you determine if you would want a “Single Dubby” or the “Double Dubby” to meet your needs. Already have a “Dubby” and would like replacement parts or accessories? 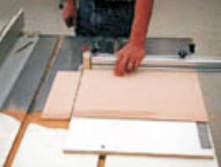 Over the past 25 years, there have been quite a few articles about the Dubby in woodworking magazines. In these articles, they talk about everything from the safety features of the Dubby to the incredible accuracy of our angle scale. WOOD Magazine has included it in a few articles that compared aftermarket miter gauges and sleds, and the Dubby has never been rated what would be considered “second best” to any other product in the articles. Click here to see comments and quotes from some of these articles. Let Us Show You What Our Customers are Building & How to Use the Dubby! Nothing says as much about a product as what people can accomplish using it. In our “Customer Project Gallery” you will be able to see some amazing projects that not only illustrate the talents o some of our customers, but also show the incredible versatility of the Dubby. We encourage all of our customers to submit photos of their Dubby projects to the gallery. The easiest way for us to help you understand how simple (and “deadly accurate”) the Dubby is, we have a number of short project videos available for you to watch. We internationally left these videos unedited to emphasize the accuracy of the Dubby. Each clip is shown “start to finish” to prove the point that “this is how it works.”! Click here to see what our customers are building and how to use the Dubby. 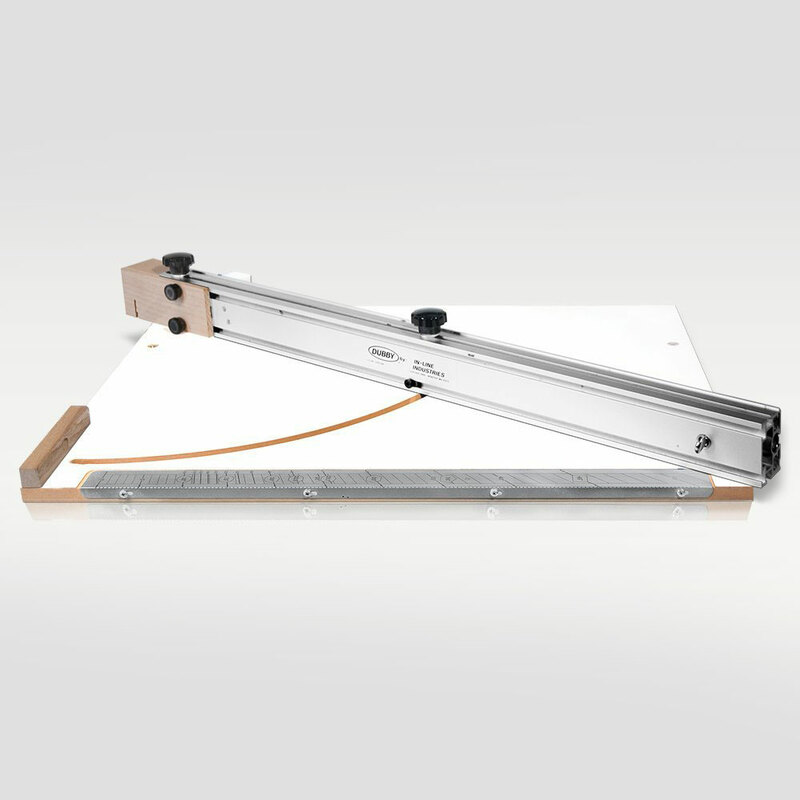 The Dubby has the capacity to crosscut panels up to 24″ wide x 52″ long, and allows you to do them safely. 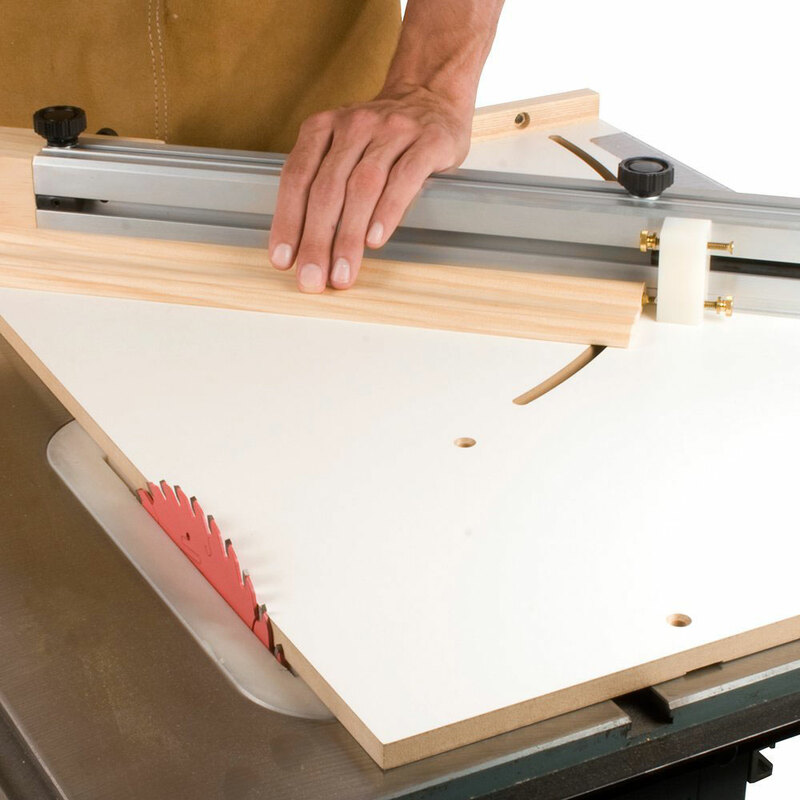 Since the panels don’t make contact with the table saw top, “walking” of the material is virtually eliminated. This will allow you to cut perfectly square panels for your furniture and cabinet making projects quickly, easily, and accurately. 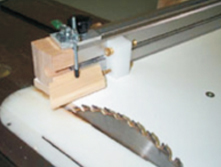 No miter gauge on the market can offer you the margin of safety provided by our “sled”. The versatile hold-down clamp included with every Dubby will give you an extremely safe way to cut small pieces, and will easily pivot out of the way when you don’t need it. With 35lbs. of hold down pressure, the clamp will hold small pieces as you cut them with your fingers out of harms way. There have been a lot of new after-market miter products invented since we introduced the Dubby back in the mid ’80s, but none of them has been able to offer the versatility, accuracy, simplicity, safety, and just plain fun of this outstanding product. 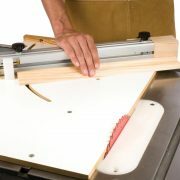 From panel cutting to absolutely accurate angles on your mitered projects, the Dubby will allow you to make perfect cuts the first time you do them. Have questions? We are here to help! Please visit our Dubby Question & Answer page! 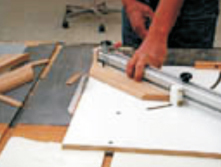 How to determine which Dubby model fits your saw.